Easter is coming up soon! 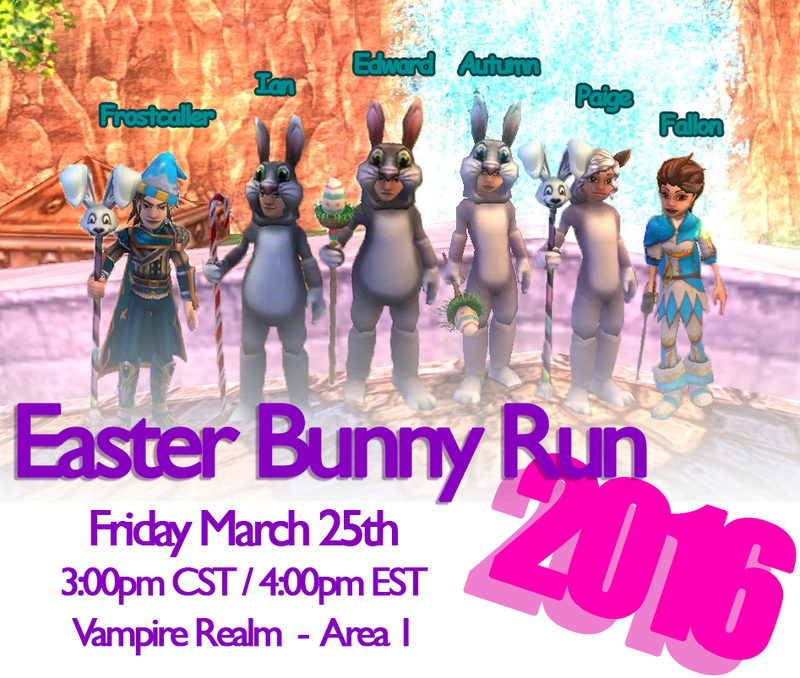 To celebrate, Edward Lifegem from ATSWEL is having an Easter Bunny Run and I'm co-hosting along with a few other people! 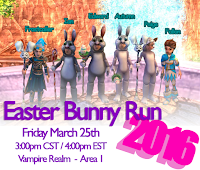 This will be a lot like the Santa Run he hosts in December, except with BUNNIES! So grab your bunny costume (if you have one) and save the date below, because it's going to be a lot of fun! Even if you don't have a costume, that's okay. Still show up and join in! There will also be a big after party hosted at a few different houses, as well as contests and trivia! All that info will be updated as it becomes available, so be sure to keep an eye on this post and/or Edward's post. I hope to see you guys there! It will be a lot of fun!